Long gold, gemset, and enamel chain with arabesques and scrolling motifs evocative of Renaissance revival jewelry. 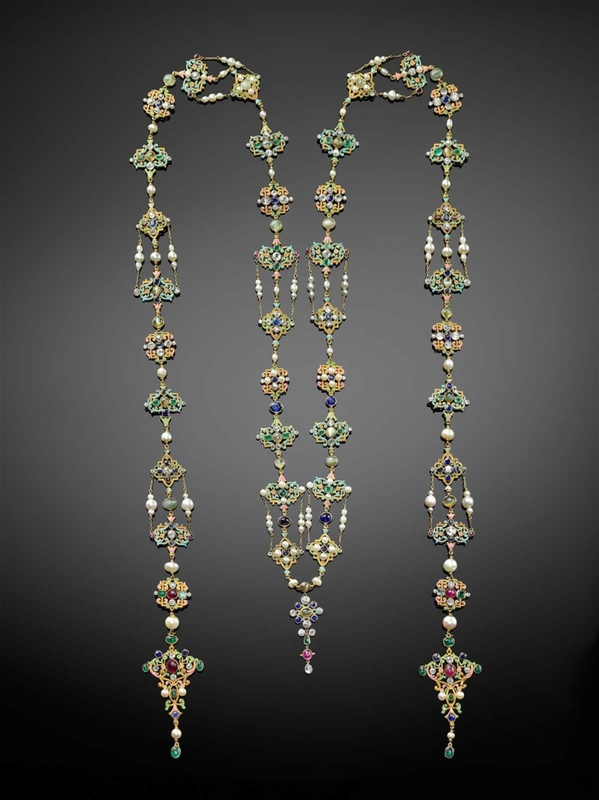 The pastel color palate of greens, orange, and pinks is unexpected of this genre of jewelry, as is its design as a long chain rather than a connected necklace. The form is likely inspired from the chains worn by women in Renaissance portraiture which was sewn onto the dress to adorn the bodice. 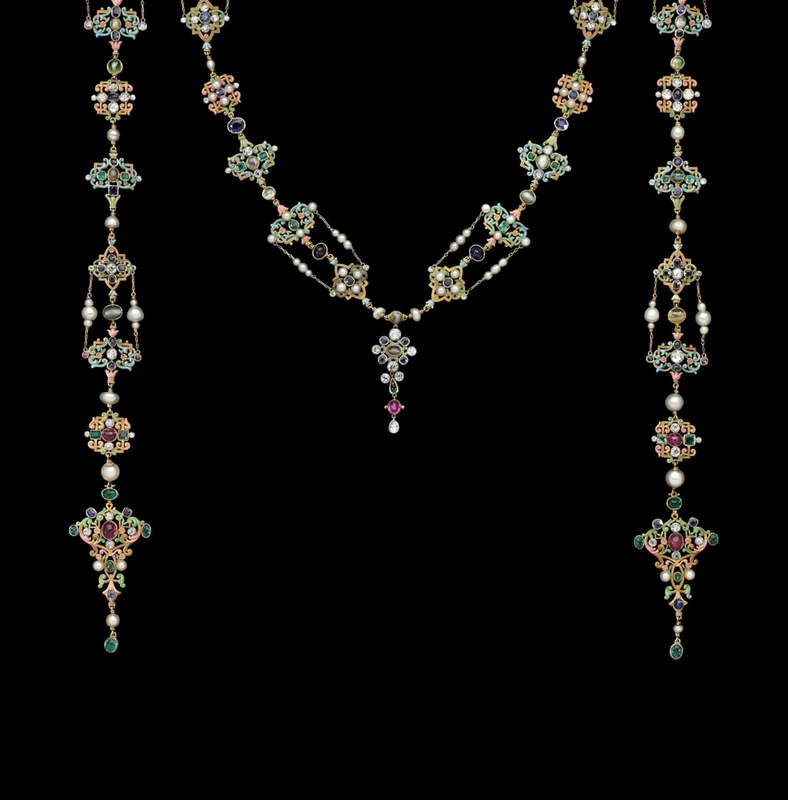 Many of Farnham’s revival-themed jewels were shown, to great acclaim, at the 1901 Buffalo Exposition. Possibly purchased at the 1901 Pan American Exhibition in Buffalo, NY. 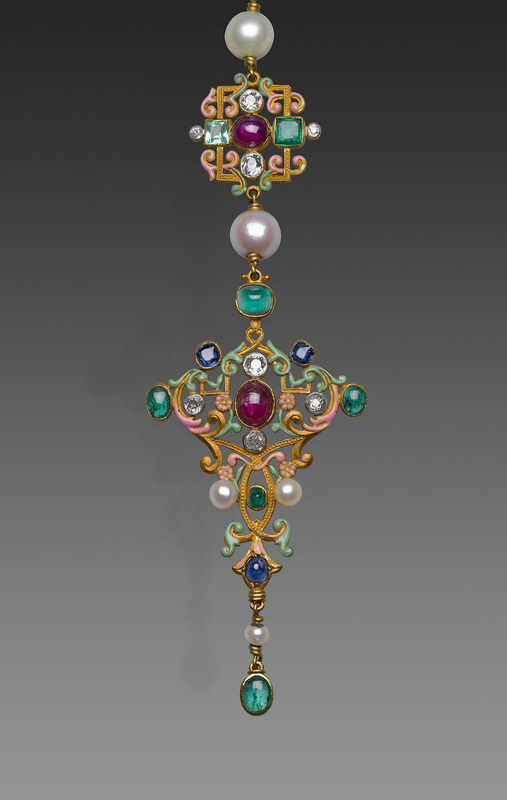 According to records at the Walters Art Museum in Baltimore, the piece was purchased from Tiffany & Co. by Henry Walters for "a relative," most likely his sister Jennie Walters Delano.